While the Chinese government aims to promote primary care and reduce the hospital-centred approach to healthcare, the situation at the coalface suggests this is going to be an uphill struggle. 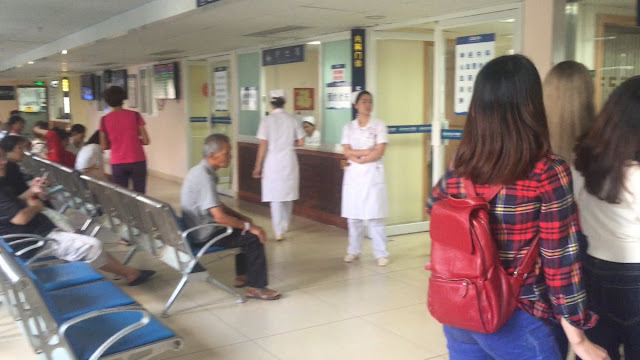 A report from Henan shows that while the city of Zhengzhou has 54 primary care centres, they are unpopular with both patients and doctors. According to an article in the local newspaper, the main problem is 'lack of talent'. The community medical centres fail to attract talented doctors because they are seen as a career dead end with low pay, low status and few if any opportunities for training or promotion. A former respiratory physician who now works at one of the clinics says the failure to attract and retain reputable doctors to work a primary care centres is a vicious circle. With salaries of only 2-3000 yuan (US$300-400) a month for doctors working in community medical centres, the hospital based staff would rather switch to a remote rural branch of the hospital rather than work in one of the city-based community clinics, says Dr Song Gang, who became a primary care practitioner in 2008. But it's not just the low wages that deter would-be general practitioners. Dr Song says doctors fear that in community practices they will only see minor problems and will therefore become de-skilled. This in turn will mean that they no longer qualify for promotion and career advancement, he says. Another problem with the lack of 'medical talent' in community centres is that the few doctors who do work there are overworked, facing long hours for little reward. This again leads to a high rate of burnout and high staff turnover, as well as lack of continuity of care for patients. Professor Cui Liuxin, a specialist in public health at Zhengzhou University says the key to building up primary care is investing in talent, and making community centres more attractive to high level doctors. However, he says this is not going to happen overnight. In the meantime, local clinics and village hospitals are shunned by patients and represent a waste of resources and workforce. At the same time, city hospitals are overused by people with minor ailments, leaving them swamped and unable to cope with the high demand. The Zhengzhou city planning commission says it aims to create a stronger primary care workforce as part of a six year plan based on training and recruitment for community clinics. However critics say that a six year time schedule is unrealistic, and it will take even longer than this to build up a well-qualified and capable primary care medical workforce. The workforce planning committee said that pilot programs had shown that doctors could be attracted to work in primary care community clinics with financial bonuses, investment in medical hardware and also with extra support support for ongoing doctor training and education. It remains to be seen whether local clinics will be able to attract and retain high quality healthcare staff. Wonderful post,You sharing the awesome article and the facts confirm that individuals are being occupied looking for cash and for this reason they did the actually difficult activity but you can visit http://www.endocrinologyfellowship.com/how-to-get-a-perfect-endocrinology-letter-of-recommendation/ to manage your task. In the event that you give some your minutes to the God he will give you the simple way to carrying on with the glad life. Amazing blog post,It is the pride snapshot of the David on the grounds that the account of the David life is appearing to the general population but you can get this page for best work. It is a decent chance to the general population with the goal that they get an opportunity to think about their most loved craftsman. Much thanks to you for sharing such a brilliant post. Thanks for sharing such type post,The site of the Geeklog is first class because of the comfortable and obligation but now you can check this site for educational task. These the two things make this site special and prominent representatives feel glad to work with this site. At the end of the day, I can say that it is the site for the additional quality people. Repliche orologi italia , che combina uno stile elegante e una tecnologia all'avanguardia, una varietà di stili di Repliche orologi audemars-piguet italia , il puntatore cammina tra il tuo stile di gusto esclusivo.